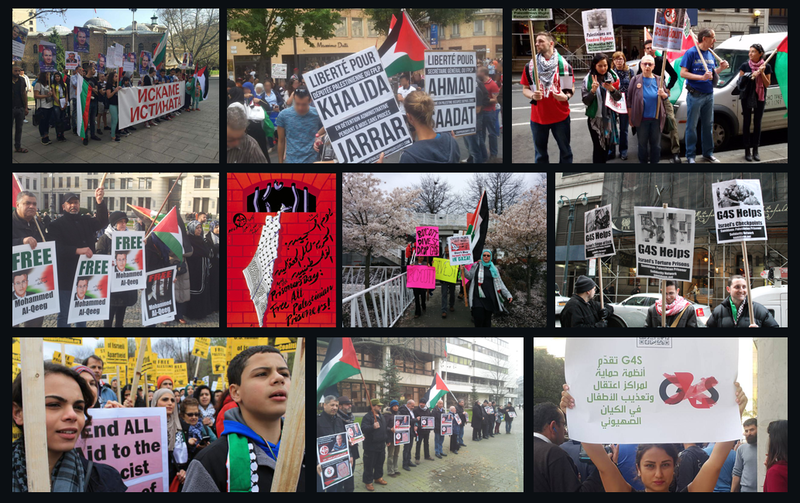 New Yorkers protested outside the Bulgarian embassy on Friday, 15 January against the threatened extradition of former Palestinian prisoner Omar Nayef Zayed. At the protest, organized by Samidoun Palestinian Prisoner Solidarity Network, participants leafleted about the case and provided informational material and a call for an end to all extradition proceedings against Zayed to embassy staff. Zayed, 52, has lived in Bulgaria for the past 22 years; he is married to a Bulgarian woman, with three Bulgarian children. Imprisoned by an Israeli military court in 1986, he escaped captivity in 1990 after a 40-day hunger strike and arrived in Bulgaria in 1994. In December 2015, the Israeli embassy presented the Bulgarian Ministry of Justice with a request for Zayed’s extradition – and Bulgarian police raided Zayed’s home two days later, while he was not at home. He has taken sanctuary in the Palestinian Embassy in Sofia, and is calling for Bulgaria to reject the Israeli extradition request. The New York City protest came as part of a week of action for Zayed, with events in Brussels, Berlin, Ramallah, Gaza and London. Events and actions in solidarity with Zayed are continuing to grow, with a protest in Rome on 21 January and a new set of materials, flyers and leaflets about Zayed’s case.